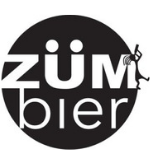 ZümBier » Events » Maui Trickster Day! Join us Friday March 31st for our first annual Maui Trickster Day featuring Rum Barrel Aged Maui Trickster making it’s first appearance along with other Maui variants on draft. Rum Barrel Maui Trickster and bottles of the original Maui will be available for sale. Draft and bottle sales will continue all weekend long, or until we run out.